Peter Rutledge Koch, Adam Cornford, and Jonathan Gerken. 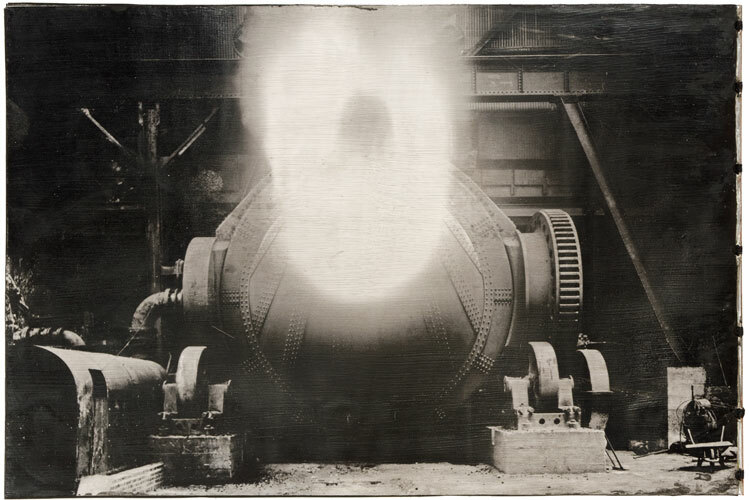 –I had chanced upon an exhibition of work by Joseph Beuys, Anselm Kiefer, and Sebastião Salgado, three artists deeply affected by World War II. I felt close to these men in the presence of their portrayal of the terrible weight of war and the raw emotions called up in the aftermath. We have a generational kinship, Kiefer and Salgado are my own age. After my father died in the invasion of France in 1944, and while growing up in Montana, I saw our own aftermaths and ruins in the ghostly smelters and abandoned mines of Butte and Anaconda. The smooth concrete and marble monuments that were erected in my local cemetery and public parks seemed to me feeble responses to the terrible price paid for that war. Now, seventy years after Omaha Beach, I am again a witness, pursuing my work in the archives of mining and banking – appropriating images and building my own memorials. LIBER IGNIS is the fifth volume of an ongoing series of literary explorations utilizing appropriated photographs as evidence and documenting man’s battle against nature in the American West. The earlier volumes include: Hard Words I and II; Nature Morte; and The Lost Journals of Sacajewea. 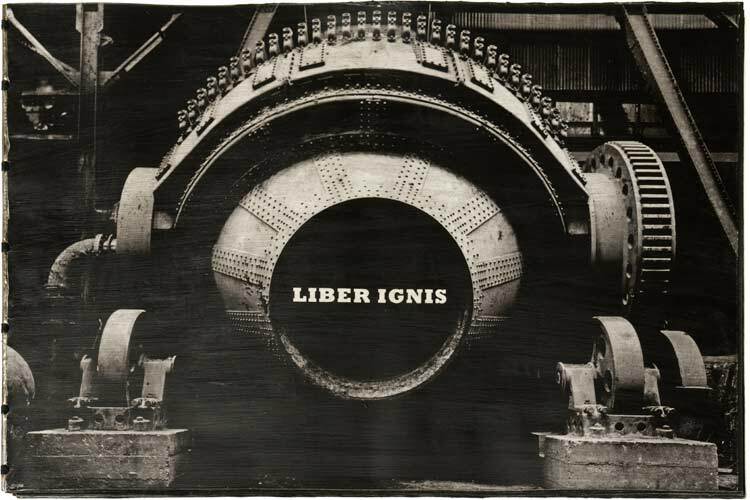 LIBER IGNIS consists of six .033” lead sheets printed at Magnolia Editions on a UV cured acrylic flatbed press interleaved with laminated felt and Evolon split microfiber sheets dyed black and printed from polymer plates on the Hacker Test Press at Peter Koch Printers. The binding is constructed with soldered copper tubing and linen thread. The text was composed in Fell Roman and Italic with Rockwell for titling. Box construction executed by John DeMerritt Bookbinding, lettering hand-painted by Christopher Stinehour.